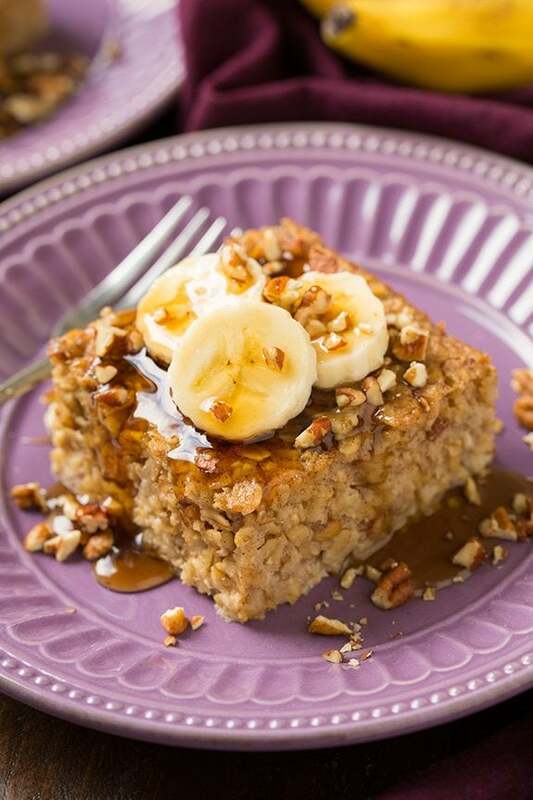 Banana Pecan Baked Oatmeal is one of the best ways to enjoy oatmeal! Even people that don’t like it porridge style will love this baked version. It’s easy to make an it’s also a great on the go breakfast. 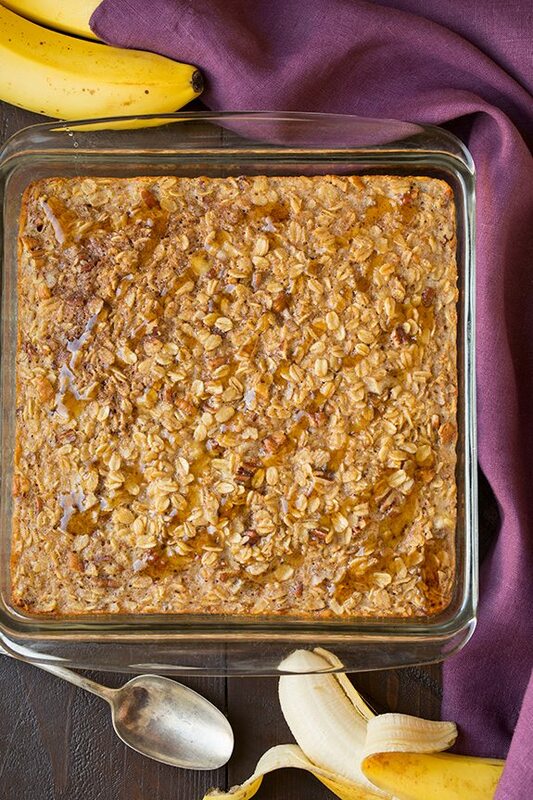 Baked Oatmeal with Sweet Banana and Nutty Pecan Flavor! We could all use a few more healthy recipes right? Especially for breakfast, our most important meal of the day! There are so many things I love about this Banana Pecan Baked Oatmeal, like for instance the fact that it almost tastes like dessert for breakfast while still being healthy. 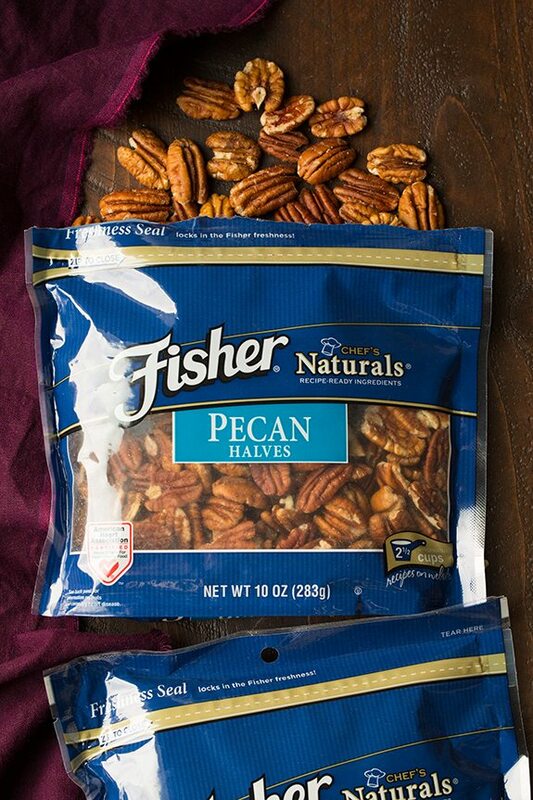 Another thing I really love about it are the heart healthy Fishers Pecans in this, which not only offer nutritional value, but they give it a wonderful crunch. This oatmeal needs the Fishers Pecans! 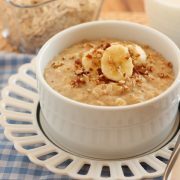 Here they offer the perfect flavor and contrast to the soft, almost bread-pudding-like texture of the oatmeal (plus don’t bananas and pecans just go together?). 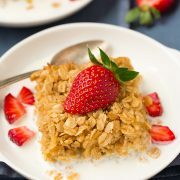 I think there a many people that don’t like the texture of a bowl of oatmeal, to some it may seem like breakfast “mush” but to those I say, try this oven baked version! It has more structure, as you can see it can actually hold a shape. I baked this thinking I was going to be the only one that would eat it but my whole family loved it, kids included! You’ll never see my husband sitting down to a bowl of oatmeal, but he gladly polished off a generous serving of this. I made this a few times trying to get the perfect consistency, the first batch came out somewhat “gloppy” for my liking but this batch was perfect. If you want to get more uniform squares you’ll need to let it cool a bit, I do however prefer to just serve up large spoonfuls of it while it’s just hot from the oven. There are several substitutions you could do here based on what you have on hand, like brown sugar for maple syrup, almond milk for milk, almonds or walnuts in place of the pecans, or melted butter for coconut oil – some of those substitutions just wont be as healthy (but I say, a little butter never hurt anyone). 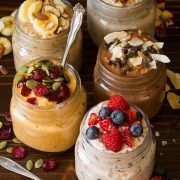 More Oatmeal Recipes You’ll Love! 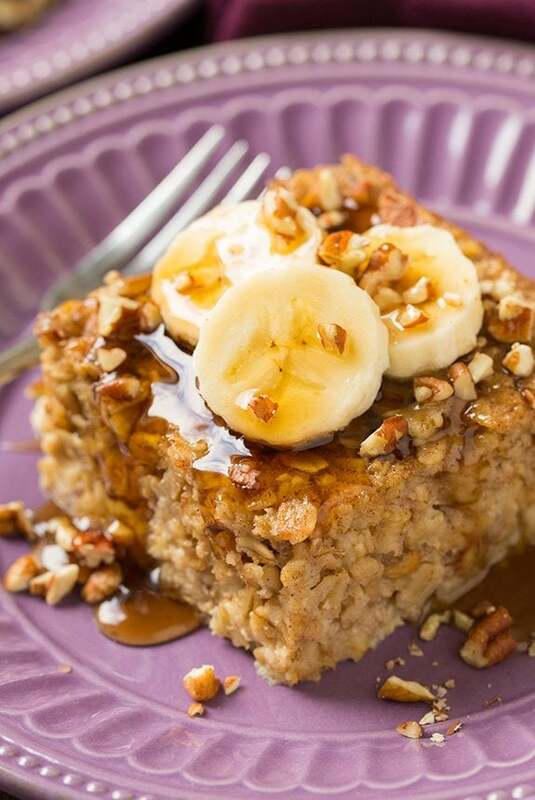 Banana Pecan Baked Oatmeal is one of the best ways to enjoy oatmeal! Even people that don't like it porridge style will love this baked version. It's easy to make an it's also a great on the go breakfast. Preheat oven to 350 degrees. Spray an 8x8-inch baking dish with non-stick cooking spray, set aside. In a medium mixing bowl whisk together oats, Fishers Pecans, baking powder, cinnamon and salt. In a separate mixing bowl stir together mashed bananas with lemon juice then add in milk, maple syrup, eggs, and vanilla extract and whisk until very well blended. Stir in coconut oil. Pour milk mixture into oat mixture and stir to combined. Pour mixture into prepared baking dish. Bake in preheated oven until set, about 30 minutes. Serve warm with milk, additional pecans and maple syrup if desired.